Search Engine Optimization – Neovix, Inc.
All major search engines, including produce search results where content is based on what the search engine considers most relevant to users. The process of managing content on a website to maximize these “organic” results is called SEO (search engine optimization). There is a lot more to it than this of course, . So what do we do to make your content more “findable”? 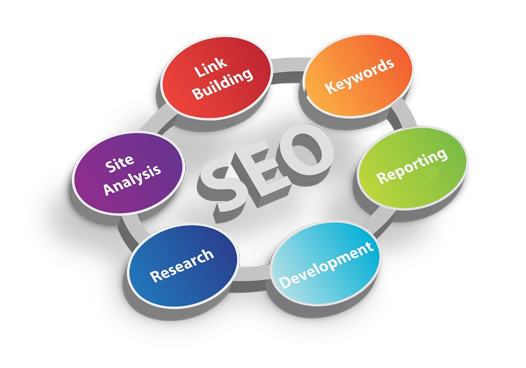 Define your SEO objectives & develop a realistic strategy with you. Define your end result. It may be visits to your site, leads, new patients. Set a target, and go for it! Solid keyword & market research help your SEO strategy and allow us to provide realistic projections and forecasts of opportunity within your target market. Our Rilixa.net service has audit tools to evaluate your social and web presence. Ultimately, Rilixa evaluates your website to ensure the search engines are able to effectively discover, crawl & index your web pages for maximum visibility. Link Building is often forgotten as it is an old strategy. But links are still the fundamental signal used within scoring. Today ‘link building’ contributes to content marketing, PR, and ultimately to bring viewers to your brand. The backbone of any marketing campaign is compelling content. Create compelling content that gets drawn into mainstream media, as well as online and print publications. Our advertising solutions can assist our clients to reach their target market. Well crafted press releases, as well as other promotional campaigns will enhance your organic search results.